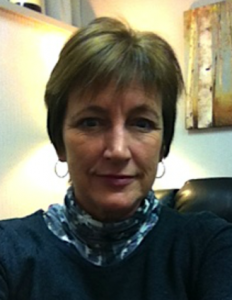 Clinical psychologist with over 20 years of experience in a variety of settings. Currently works with adults in individual psychotherapy to address issues resulting from depression, bipolar disorder, and anxiety. Also works with clients on relationship issues, self esteem, stress, sexual identity, loss, and transition. Many of my clients have experienced difficult time in their lives, which, in turn, impact their ability to cope with current situations. Others are struggling with relationships – with their parents, children, partners, co-workers, or peers. Often such challenges are accompanied by feelings of helplessness, depression, loneliness, or anxiety. I work with clients to help them identify issues and emotions, and to generate strategies for coping more effectively and working toward positive change. Depression, Anxiety, Bi-Polar Disorder, Stress, Life Transitions, Relationship Issues, Grief and Loss, Living with Chronic Illness and Disabilities.